Home / Billboard Hot 100 / charts / DJ Khaled / DJ Khaled scores Hot 100 No. 1 single with "I’m The One"
DJ Khaled scores Hot 100 No. 1 single with "I’m The One"
DJ Khaled has scored the #1 spot on the Billboard Hot 100 Singles Chart with his brand new tune, I'm The One, featuring Justin Bieber, Quavo, Chance The Rapper and Lil Wayne, entering straight in at #1! Congratulations! DJ Khaled knocks Bruno Mars' That's What I Like to #2 and climbing to #3 we have Luis Fonsi and Daddy Yankee's Despacito, featuring Justin Bieber! 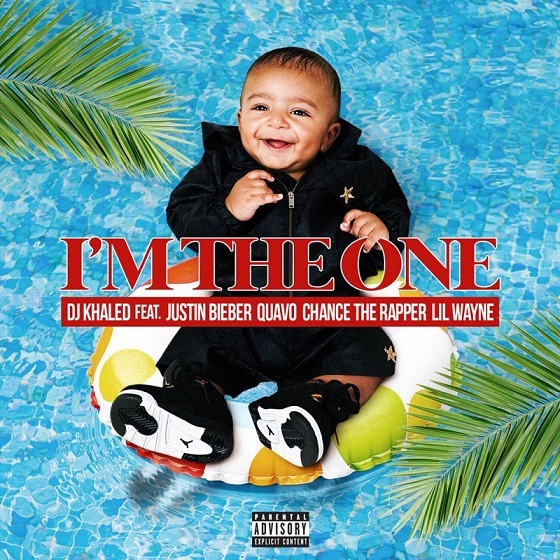 DJ Khaled conquista o single #1 nos EUA com o seu tema I'm The One, com Justin Bieber, Chance The Rapper e Lil Wayne! Parabéns! Khaled derruba para o #2 That's What I Like de Bruno Mars e a subir para o #3 temos Despacito de Luis Fonsi e Daddy Yankee com Justin Bieber!